It’s true that real estate transactions go more smoothly when homebuyers are paying with all cash. 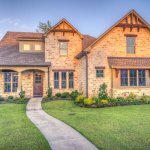 Closing times are shorter, and there is less stress for both buyers and sellers waiting for the inevitable shoe to drop. Loan applications take longer than expected, the one last piece of documentation is not readily available and interest rates are going up, forcing a reevaluation of qualifications. But cash avoids a lot of those issues, making a cash buyer extremely attractive. According to the National Association of Realtors Economist’s Outlook, the share of cash buyers dropped to just 21 percent in 2017. That compares with a national average of 31 percent between 2011 and 2013 and as high as 57 percent in Florida in 2012. Well, Florida is still humming with cash buyers, at least in our area. The July sales statistics for single family homes bought with all cash was up 22.7 percent from last July and for condos up 17.5 percent from last July. For the month of August, however, the cash buyers were off for single family homes down 8.1 percent but for condos they were up 20.8 percent. And in an interesting article I recently read, Detroit is finally digging out of their deep depression and starting to sell real estate. The median home price as of this writing in Detroit is $32,428, the medial home price nationwide is $234,000. The percentage of homes bought in Detroit for cash as of this writing was 87 percent and nationwide was 28 percent. Obviously, the historic low prices in Detroit is generating all cash offers many from investors and flippers. Flippers may be just what Detroit needs where many homes have permit issues and condition problems preventing buyers from applying for a conventional mortgage.